Editor's note: We don't often think of food when it comes to ecology, but food production actually contributes about 20% of greenhouse gas emissions in France, which means that emissions from farming largely exceed those from cars alone and comes head on with the transport sector, or even the industrial sector. With a few good habits, you can learn to eat better for less money, whilst maintaining a trim figure and polluting less. Amazing, isn't it? -Not killing animals for nothing. Eat less meat for several reasons. The first is that 100 grams of meat a day is more than sufficient for an adult. And yet, the average French person eats much more than 36.525 kilos of meat a year. 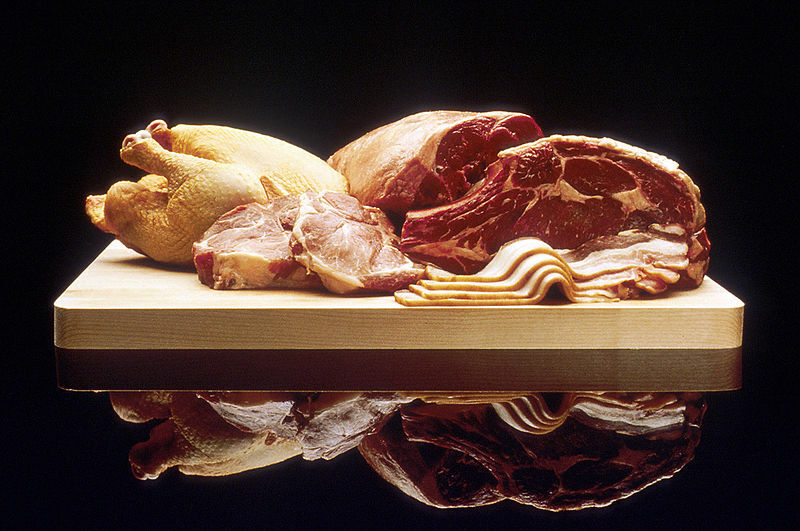 Too much meat means a poor diet, heart problems, etc. Eat less meat. Follow the Cretan diet that is composed of vegetables, fruits, and olive oil: it's tasty, inexpensive, good for health, and ecological. And fewer animals suffer as a result of it. Go from 60 kilos of meat a year (of which 15 is chicken meat) to 40 kilos per person (of which 20 is from chicken), which remains an acceptable ration of meat. If we assume an average price of $11.20 per kilo, this represents $896 in savings per year for a household of four adults and teenagers. If we take into account that 1 kg of chicken pollutes as much as traveling 20 km by car, and that 1 kg of another type of meat pollutes as much as 50 km (50 to 100km/kg for beef; 150km/kg for veal), we will go from 2550 to 1400 km per person, i.e. pollution savings equivalent to 4600 km traveled by car per year for a family of four (indeed, livestock farming pollutes a lot because of the energy needed for the cultivation of crops for animal feed and the methane-rich flatulence of animals). Another advantage of reducing meat consumption is that since producing 1 kilo of chicken requires 2 kilos of grain, 1 kg of pork requires 4 kg, and 1 kg of beef requires 8 kg, eating less meat would therefore help fight the current cereal shortage and improve the current food crisis while fighting the killing of livestock by the food industry. To all meat lovers out there: did you know that by substituting salt pork for sirloin steak, you could reduce between 100 and 200 kg of co2 emissions, depending on whether you replace half or all of beef consumed by pork? Failing which, if you love beef, start by replacing veal Orloff with beef Stroganoff, because co2 emissions linked to the production of a kilo of veal is two and a half times greater than those for beef! The reason for this is that it takes a cow to raise a calf, hence the greater level of emissions. Bottled water costs at least $0.30 per liter. That means $140 per m3 of water bought at a discount store, up to almost $2000 per m3 for best quality bottles wate, versus only $3 to 5 per m3 for tap water, which is very good, potable and fully monitored (except in certain cases e.g. in Brittany where the water contains too many nitrates). NB: For a family of four where each person consumes every day a liter of water at $0.60 per liter, switching from bottled to tap water reduces the "beverage budget" from $876 to less than $6 per year, based on a price of $4.00 per m3 of tap water. That means savings of $870 per year or, for a household whose income is $5.000 per month, +1.45% in spending power. Moreover, you avoid the equivalent to car emissions over 5000 km in a year. 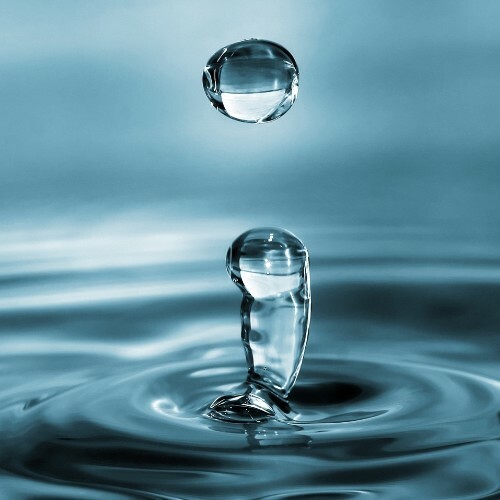 If you are an aficionado of spring water, here are some ecolomical tips. Keep your 1/2 liter and standard sized bottles; refill them with water from a large, 5 liter round bottle. This is certainly less practical, but once you have collected enough empty bottles, you will be consuming no more than a single bottle for every 5 liters of water, i.e. 5 times less than with conventional 1 liter bottles. In addition, water sold in large round bottles is proportionately cheaper than that sold in standard sized bottles. Don't buy off-season produce, which calls for long-distance transportation that is responsible for high levels of greenhouse gas emissions. Such produce are ultimately poor value for money, often being sold at exorbitant prices whilst being tasteless. Therefore, buy as much fresh produce and non-industrial foods as possible. Even if you buy in-season produce, if these have been produced industrially, there is a high chance that much co2 was released during the manufacturing cycle. You must know that a pot of yogurt travels 7000 km to get to your table; that includes the transportation of plastics, milk, sugar, fruit, packaging and distribution, etc. Buying fresh produce means reducing greenhouse gases whilst revitalizing the local agricultural scene. Pretty positive, isn't it? -Industrial foods are generally more expensive than natural foods, since the losses associated with the transformation of natural produce during the manufacturing process must be compensated for; the same goes for the transportation costs as well as the commission paid to the factory. -It's better for health: hydrogenated fats kill several tens of thousands of people in France each year. We find them everywhere: chocolate bars, ready meals, cappuccino, etc. The same goes for salt, which is omnipresent. Eat industrially made meals less often for you and your children's health. 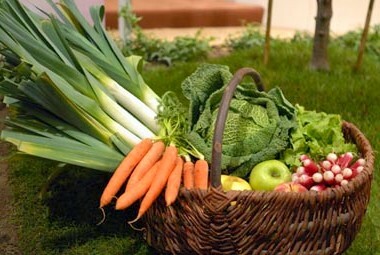 -Buying natural produce favors local farmers, especially in the case of fruit and vegetables, which are often cheap and organic. Such vegetables are usually sold at very competitive prices, so your expenditure would be on the order of $60/month for a couple or $90/month for a family of four. And you would be helping your local farmers. To find out more, let me suggest that you type the following request in any search engine: "Organic vegetables in "name of city"" (for example, "Organic vegetables in Leeds").